‘Los Punks: We Are All We Have’ screened at the San Antonio Cinefestival. Photo by Angela Boatwright. Nearly 40 years after Penelope Spheeris’ groundbreaking 1980 documentary The Decline of Western Civilization chronicled the lives of Los Angeles punks, filmmaker Angela Boatwright takes her camera to the neighborhoods of East L.A., South Central, Watts and Boyle Heights to uncover a thriving scene that few who live outside those communities even know about. 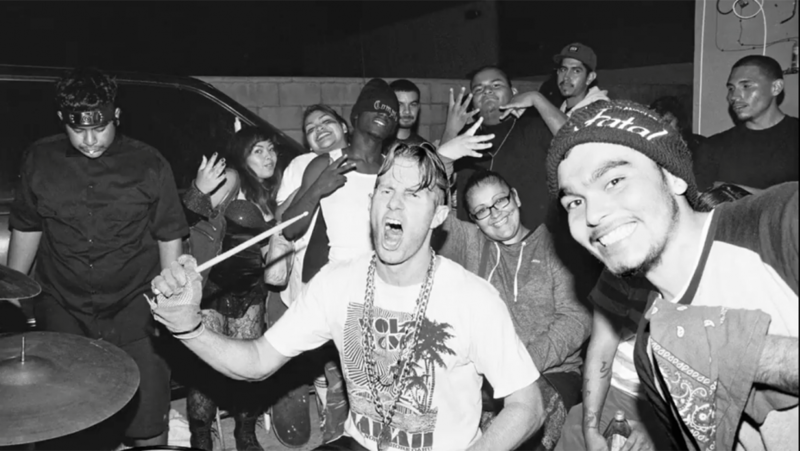 Los Punks: We Are All We Have gives viewers an intimate look at the contemporary backyard Latino punk scene that’s as involving and exciting as Spheeris’ film. Los Punks highlights an intriguing cross-section of scenemakers. 26-year-old Nacho, who fronts the band Corrupted Youth, puts together shows like an expert impresario with the help of social media. Another promoter is April Desmadre, who at 15 is already an influential part of the scene. She uses the money she makes to help her mother pay the rent, even though it’s clear that the woman is clearly a neglectful parent. Alex Podorro, who fronts the band Psyk Ward, discusses his suicide attempts and how he wrote most of the songs while confined to a mental hospital. Now pursuing a career as a chef, he hopes to win the approval of his upper-middle-class father. Rhythmic Asylum vocalist Gary Alvarez comes from a family of refugees who are proud of their accomplishments in their adopted country, and he is pursuing a law degree between gigs. There’s also Jenni Oi, an enthusiastic groupie who doesn’t allow the fact that she was born with one arm stop her from plunging headfirst into the milieu. Indeed, as someone comments early on in the film, no one cares who or what you are. It’s an inclusive environment. Of course, since it’s punk rock, there are mosh pit fights, assorted acts of violence and police interventions, but the overriding feeling one gets when viewing the film is a sense of community, and how punk rock brings these people together. The music also helps to insulate them from the tragedies — shootings, stabbings, grinding poverty — many of them face every day. In a post-screening Q&A, Boatwright, who is neither Latina nor Angeleno, described how she gained the trust of the participants in order to get the access needed for such an intimate portrait. Her direction strikes a nice balance between the mayhem of the shows and the more tranquil glimpses into the personal lives of her subjects. Fortunato Procopio and Josh Salzman’s camerawork is admirable, exclusively using existing light, and it’s all nicely assembled by editor Tyler Hubby. Los Punks: We Are All We Have was reviewed at Cinefestival en San Antonio on February 26, 2016. CineFestival en San Antonio is the nation’s original and longest-running Latino film festival. 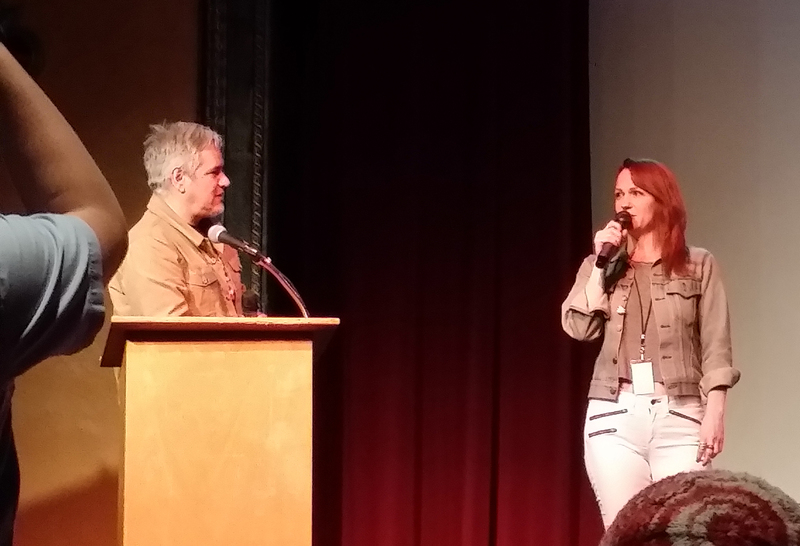 Director Angela Boatwright participates in a post-screening Q&A. Photo by Kurt Gardner.